Notre Dame economist Nelson Mark has been appointed acting director of the University’s Institute for Asia and Asian Studies. The appointment is effective immediately and runs through July 1, 2014. “As acting director, I am eager to help develop research and academic programming that drive collaborative scholarship on the many interdisciplinary issues that confront Asia,” says Mark, the Alfred C. DeCrane Jr. Professor of International Economics. The Institute for Asia and Asian Studies is a key piece of Notre Dame’s commitment to international studies, notes Nick Entrikin, vice president and associate provost for internationalization. “The institute provides the University a great opportunity to make important contributions toward improved understanding of this culturally rich and geopolitically significant region, both by making investments in faculty and by promoting student engagement in Asia-focused scholarship,” he says. The University has also appointed Jonathan Noble, assistant provost for internationalization, Asia, to serve as acting executive director of the institute under the leadership of Mark. Endowed by a gift from the RM Liu Foundation, the Institute for Asia and Asian Studies creates a centralized infrastructure to enhance the University’s portfolio of ongoing scholarship and programming in Asian studies. solidifying Notre Dame’s reputation as the world’s premier Catholic research university by developing a strong and visible institutional presence in Asia. As a noted scholar of international macroeconomics and the macroeconomics of China, Mark is well suited to play this important role in establishing the institute, says John T. McGreevy, I.A. O’Shaughnessy Dean of the College of Arts and Letters. Mark is a research associate of the National Bureau of Economic Research and an international research fellow of the Kiel Institute for the World Economy. 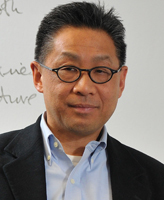 He has been a visiting scholar at the International Monetary Fund, the Federal Reserve Board, and the Hong Kong Institute for Monetary Research; he has also served as a visiting professor at the University of Chicago, the City University of Hong Kong, and Central University of Finance and Economics in Beijing, among others. Mark is currently the North American editor of the Pacific Economic Review, which is the official publication of the Hong Kong Economic Association. The author of a textbook titled International Macroeconomics and Finance: Theory and Empirical Methods, Mark currently teaches an advanced undergraduate course called the Economics of China. His recent research focuses on understanding that nation’s high saving rate. “China’s remarkable record of investment-led economic growth has been financed by an astonishingly high national saving rate exceeding 50 percent of GDP,” Mark says, “but the high saving rate also contributes to trade and current account imbalances which have become a source of international tension. 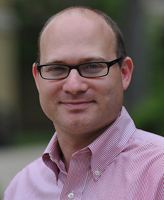 Marks’ research has been published in the American Economic Review, the Review of Economic Studies, the Journal of Monetary Economics, the Journal of International Economics and the Journal of Money, Credit, and Banking. In addition to serving as an assistant provost, Noble is director of Notre Dame International’s Asia office in Beijing, China. His research focuses on contemporary Chinese culture and society, and he has published numerous articles, essays, and translations, including translations of film scripts for Blind Shaft, which won the Silver Bear in the 2003 Berlin International Film Festival, and the Chinese blockbusters The Assembly and Aftershock. Noble received a Ph.D. in East Asian languages and literatures from The Ohio State University in 2003. He was also one of just 20 young China scholars in the United States selected to participate in the Public Intellectuals Program (2005-2008) sponsored by the National Committee on U.S.–China Relations. Originally published by Kate Cohorst at al.nd.edu on January 21, 2013.